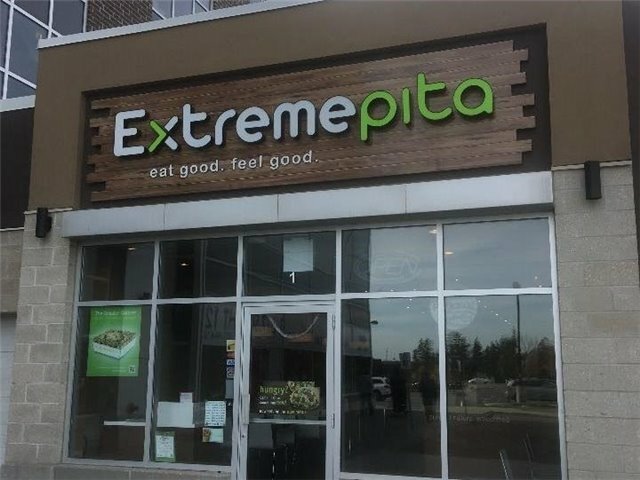 Extreme Pita Franchise Location***Established Over 5 Years In A Newer Plaza Located Next To A Medical Centre. Other Tenants Include Longos, Goodlife Fitness, Tim Hortons, And Mr Lube. Eight Schools Nearby, Huge Catering Business. Great Exposure And Plenty Of Parking. Base Rent $2520.00 P/M With Options To Renew.